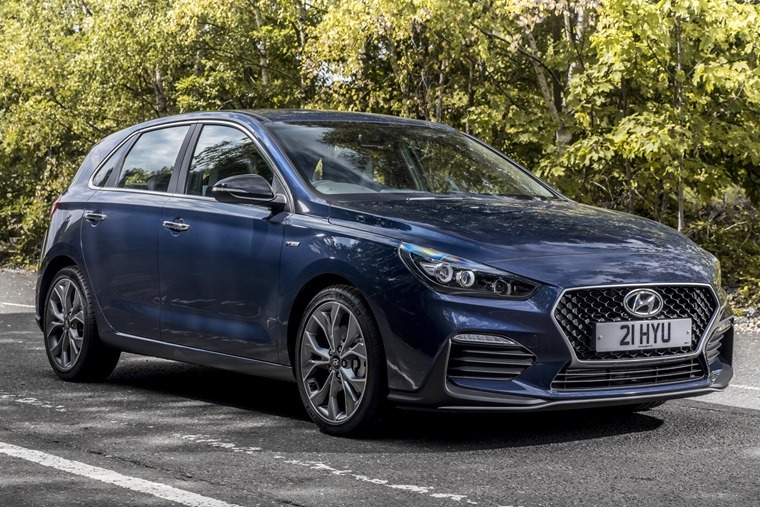 Hyundai has revealed price and specs for the i30 N Line – a new variant that gets the looks of the i30 N hot hatch, but keeps the more economical engine line-up of the standard car. We’ve seen this tactic from manufacturers before, with Audi’s S Line, BMW’s M Sport and of course Mercedes’s AMG Line cars offering sporty styling tweaks without the power. From the outside, the i30 N Line gets the same front and rear bumper as the high performance model, while N Line-specific lower accents and badging have been added to the wings, too. A twin exhaust, LED rear lamps and 18” Fastback design alloy wheels, with Michelin Pilot PS4 tyres, complete the exterior. 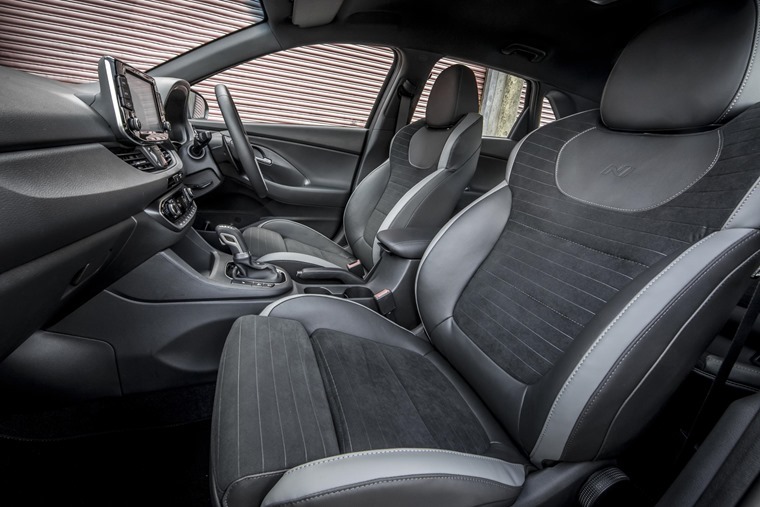 Inside, the i30 N Line looks much like the rest of the range, although it gets sports seats, and a leather steering wheel and gear lever just like the i30 N.
There’s a standard 8in touchscreen infotainment system, while safety tech such as Lane Departure Warning, Lane Keep Assist and Autonomous Emergency Braking come on every model, too. All N Lines feature a 1.4-litre turbo petrol engine that produces 140bhp; not enough to worry a hot hatch, but enough to get it from 0-62mph in less than 9 seconds. As standard it comes with a six-speed manual gearbox, although a seven-speed dual-clutch automatic is available too. Lease rates are to be announced, but the i30 N Line will be priced from £23,255, rising to £24,255. 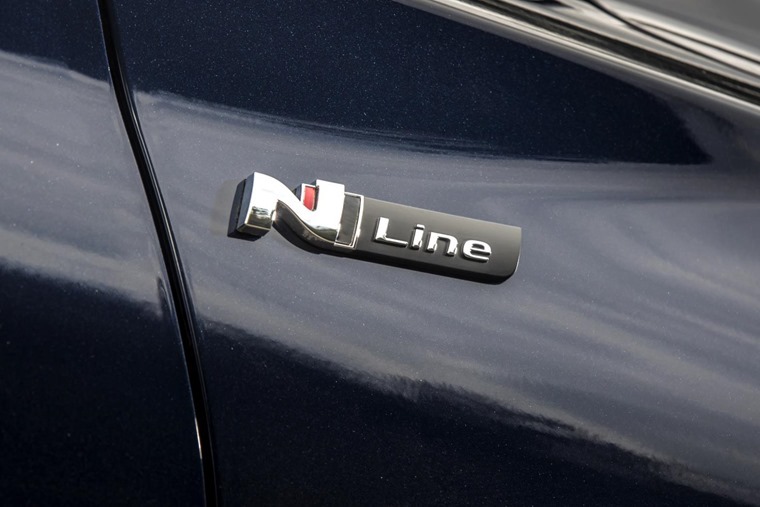 No release date has been announced, but if you can’t wait for the N Line, you can check out personal lease rates on the standard version by clicking here. 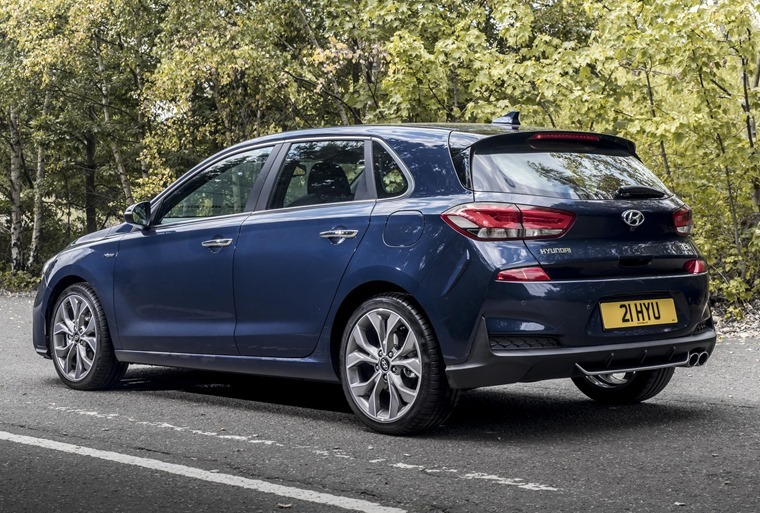 If you’re after more power, you can find deals on the i30 N here, or alternatively read about the upcoming Fastback variant of the performance model here.